In the last year or two, PokerStars has never been far from the headlines. Their new owners Amaya, have brought about many changes, mostly at PokerStars. Full Tilt has also undergone an alteration or two, but the decline in player traffic there would suggest that things have not exactly developed in the way that Amaya had planned. Yesterday, there has been a response, and an unexpected one at that – Full Tilt and PokerStars are set to merge player pools and enter into shared liquidity. Since the relaunch in 2012, Full Tilt has remained profitable, although it's market share has been slowly fading. The traditional Full Tilt avatar will still be made available to players once the switch is made, as will rewards such as 'The Deal.' PokerStars should see a spike in player traffic as the player pools mix, which provides a positive side to proceedings. There is a clear drive to ensure that all players who are familiar with Full Tilt, get to enjoy a the similar gaming experience, and that many visual, and promotional aspects remain as unchanged as possible. All players joining the PokerStars player pool will enjoy the same VIP programme as existing players, along with special promotions, and first time deposit bonuses for those who have never deposited on PokerStars before. New ideas have also been surfacing at PokerStars lately, with “Duel” being the latest. 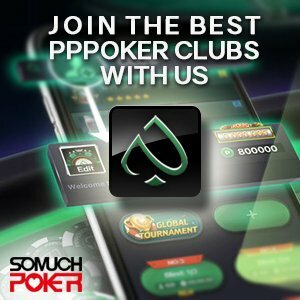 Testing is already underway for this heads up Holdem offering, which allows players to submit challenges to each other on a dedicated mobile app, before playing 10 hands against each other simultaneously. That may sound like mayhem, but be aware, you don't have a clock running down, and you can take your turn in each hand at your leisure (within a 4 day limit.) In an interesting strategic twist, whenever a player calls an all in, that hand is frozen, and only plays out when all other hands have concluded. This prevents players from taking a sizeable lead in the match before tightening up to protect it. This change comes in the wake of regular heads up tables being retired, and zoom tables offered in their place. Duel will provide another heads up option for players, in a previously unseen format, where players take their turn to act whenever they find time during the day.